This delicate, barrel-fermented Chardonnay has a bright, golden colour in the glass. On the ‘nose’ your senses will be filled with subtle aromas of citrus, honeysuckle and jasmine combined with a pleasant nuttiness and buttered brioche. It is elegant and smooth on the palate showing great integration of the oak and fruit on the palate. Having spent 11 months in second and third fill oak barrels, the wine has a lovely honeyed character with a well-rounded, but textured finish. Pairs well with chicken, fish or pork dishes and drinks best at 14-15 ̊C. The 2012 harvest season was characterised by healthy, ideal growing conditions and a cool, though lengthened, harvesting period without rain or prolonged heat. As August was warmer than usual, bud burst was a week early in some blocks. Abnormally cold and rainy conditions during the second part of flowering resulted in uneven flowering and berry set, with high disease pressure, which Peter, our viticulturist, managed to control very well. Weather conditions were back to normal in December, and less wind than usual resulted in little damage to vines than previously in previos years. January was exceptionally hot, but through scheduled irrigation the harsh effects were significantly reduced. The ripening period in February and March was further characterised by ideal weather conditions; cool and dry for slow ripening, resulting in good colour and flavour in all blocks. 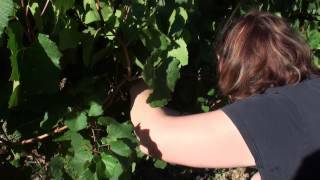 The dry weather also contributed to healthy grapes with minimal disease and rot. The crop quality and size was very good and for some producers one of the best years. 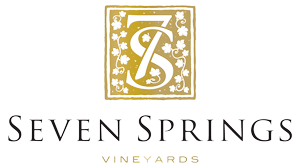 The Seven Springs Chardonnay 2012 was fermented and aged in second and third fill French oak and forth fill American oak, 300L barrels. Wild/natural fermentation started in stainless steel tank and two days later the fermenting juice was transferred to barrel to complete fermentation. There was no malolactic fermentation on this wine. The wine was left to mature on the lees for 11 months to aid in the development of the creamy palate.